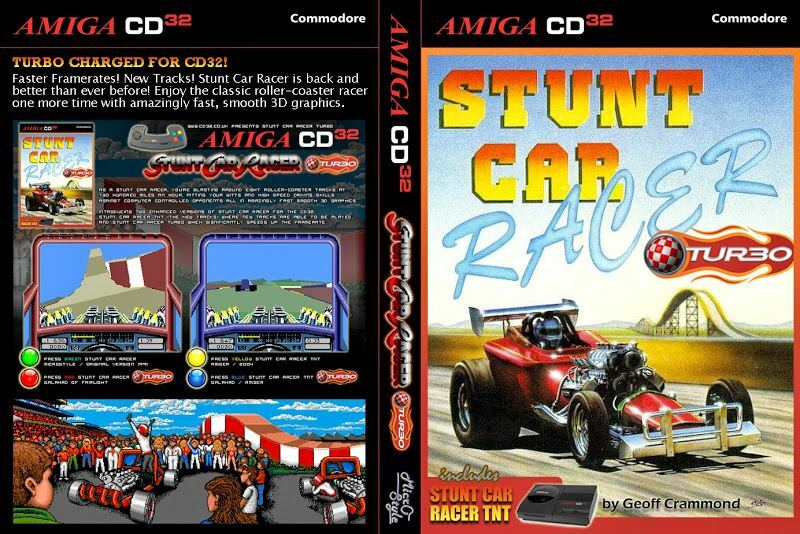 Indie Retro News: Stunt Car Racer - The best stunt game comes to Amiga CD32! 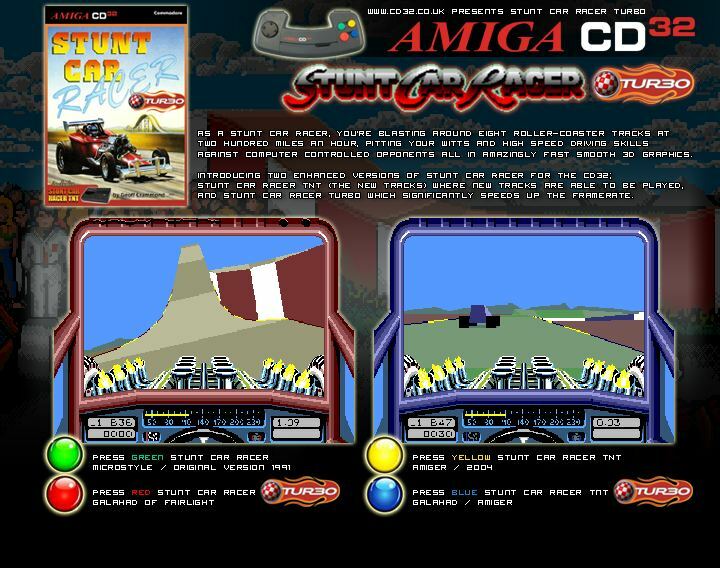 Stunt Car Racer - The best stunt game comes to Amiga CD32! Of all the games to appear on the Amiga, this in my opinion was one of the best stunt style racers, it had some of the craziest tracks and the ultimate track the "Ski Jump". What made it so good was not just the feeling of speed, but the thrill of accelerating into the sky and coming back down with an almighty crack. It was one of Geoff Crammonds finest games and thanks to Earok who has not only ported the original to the Amiga CD32 but also a turbo edition with increased frame rates. Geoff Crammond's other legendary racing game for Amiga. Includes AmiGer's "The New Tracks". Both versions can optionally be played with Galahad's "Turbo" patch applied - the speed is insane on a stock CD32, I can't imagine what it would be like on an expanded one! This is our penultimate encore - the next one is the very last one in the series, and it's going to be a doozy.